A fall in Marcella Dowling's backyard brought her to her chiropractor and then to Artem Y. Vaynman, M.D., F.A.A.N.S., for spinal surgery. Dr. Vaynman successfully removed and replaced several discs in Marcella’s back, leaving her pain free and restoring her ability to walk and drive. Dr. Vaynman is a board certified neurosurgeon who treats many conditions at NSPC, including compression fractures, spinal cord injuries, herniated discs, degenerative scoliosis, and many other causes of back pain. He is the co-chief of spine surgery at Mercy Medical Center, specializing in complex and minimally invasive spinal surgery. “I was working at school part time, and one day, I just couldn’t walk anymore. My leg was bothering me, I continued with my treatments, and nothing helped,” Marcella says. Her primary doctor referred her to a back surgeon. An MRI showed that Marcella would need four discs removed/replaced, and Dr. Vaynman informed her that she would need spinal surgery in order to walk again. “I was on the couch for a month. I went into the hospital,” Marcella says. Marcella had two back surgeries in one week, and she describes her surgeries and recovery: “It was a wonderful experience, I have to say. I was so worried about this hospital experience, but … the most wonderful thing was that I never really experienced pain once I had the surgery.” Following surgery, Marcella remained in the hospital for ten days and spent three weeks in a rehabilitation facility. “My only problem was that I had a problem walking, and I have a numbness in my left leg. Dr. Vaynman said ‘Your recovery will be from seven months to a year’ and they are hoping that the nerves will regenerate,” Marcella says. Marcella’s two surgeries greatly improved her condition, and she continued physical therapy as an out-patient. “I’m pain-free, and as time progresses, I’m getting a little better. I’m able to walk without a cane now, and I’m driving, and just experiencing life again,” Marcella says. Paul Yovino had a wonderful pain management experience with Madan K. Raj, M.D., and a successful spinal fusion with William J. Sonstein, M.D., F.A.C.S. 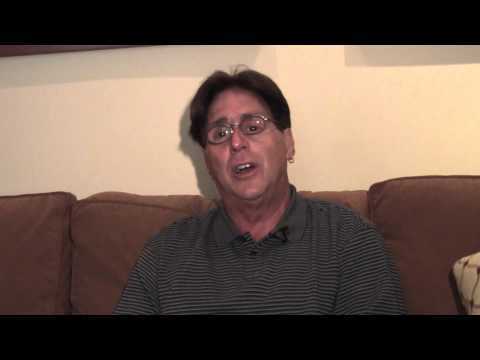 Epidural injections and spinal surgery helped Paul manage his back pain. Dr. Raj, a board certified interventional physiatrist, specializes in advanced pain management techniques and physical medicine and rehabilitation. He treats spinal conditions without surgery, practicing musculoskeletal medicine. “He’s one of the best doctors that I have ever gone to, as far as epidural injections. He’s a pleasant person to be around,” Paul said. Paul also spoke highly of the other staff. “The staff, Divina and Lisa, are absolutely the best. Sometimes, they have to tell me to stop laughing before they give me the injection. It’s almost like it’s fun to go and see them and get the shot.” Epidural injections for pain management were not as bad as Paul once thought. “The most you’re going to feel with Dr. Raj is a little pinch. He’ll work you right through it, and before you know it, you’re done,” he explained. When Paul later consulted Dr. Sonstein, he found two fractures that other doctors missed. “He saw something that no one else saw. I went for many MRIs for this condition, and he said, “Forget the MRIs. I want an x-ray of you. No one ever asked me for an X-ray before,” he said. Dr. Sonstein is a Board-Certified Diplomate, American Board of Neurosurgery. His interests include complex and minimally invasive spinal surgery, and he is Chief of Neurosurgery at LIJ North Shore University Hospital in Plainview. 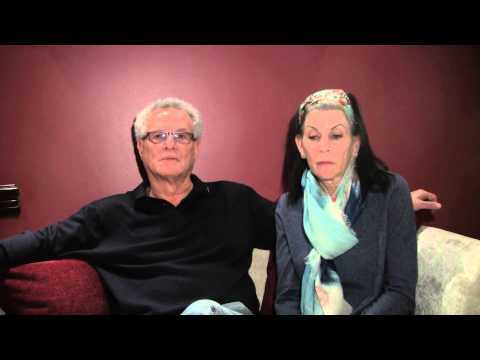 Paul is grateful to Dr. Sonstein for his successful spinal fusion. “Dr. Sonstein is an excellent neurosurgeon,” he said. Brain tumors can happen to anyone, even an athletic man like Rick Box, who ran 2.5 miles every morning and worked out in preparation for marathons. Rick’s dentist noticed that he appeared thin in the face, and Rick began to experience grainy vision. When the ophthalmologist found nothing, he proceeded to his primary doctor, leading to the CT scan and brain biopsy that diagnosed the glioblastoma. Rick was offered a clinical trial, but he had trouble finding a surgeon to do the brain tumor resection. “The surgeon that did the biopsy said he would not do the resection because he was afraid he would kill me, paralyze me, put me in a coma, make me blind, lose my speech, and so forth. He thought it was too risky where it was,” Rick explained. “My wife… cornered him against the door: ‘You have to come up with a better solution.’ Luckily, he came up with Dr. Lee Tessler with the Long Island Brain Tumor Center,” he added. Lee Eric Tessler, M.D ., F.A.C.S., F.A.A.N.S., is the executive director of Long Island Brain Tumor Center and a partner at NSPC. He is a board certified neurosurgeon specializing in the treatment of primary and metastatic brain tumors, meningiomas, stereotactic surgery, and radiosurgery. Jai Grewal, M.D., is a board certified neuro-oncologist who treats patients with primary and metastatic tumors of the brain and spine, such as glioblastoma, astrocytoma, oliodendroglioma, ependymoma, meningioma, and lymphoma. His multifaceted treatment approach includes standard and experimental chemotherapy, radiation, and advanced surgical techniques. Rick’s tumor resection surgery with Dr. Tessler and Dr. Grewal involved over 50 staples and was complex. Rick praised the interest and dedication of the staff as they assisted him: “It’s an amazing crew they have there. They all came to meet me. They wanted to see how strong I was and what sort of faculties I was missing.” Rick lost peripheral vision in both eyes and can no longer drive, but he has otherwise made a full recovery. He credited “the skill of the surgeon” in his recovery. Out of nowhere, Angela Wohlfarth developed life-threatening symptoms of an arteriovenous malformation. Her surgery with Dr. Jonathan L. Brisman and Dr. Michael H. Brisman was successful.